The design of Skunk2 Rear Camber Kits is based on camber kits that have been used in Skunk2 race cars for many years. Skunk2 Rear Camber Kits are a must if you want to fine tune your rear suspension. With the ability to adjust positive and negative camber, you can reduce tire wear and significantly improve your vehicle’s handling. Made from forged alloy steel and aircraft quality AL7075 aluminum, Skunk2 Rear Camber Kits feature low deflection polyurethane bushings. 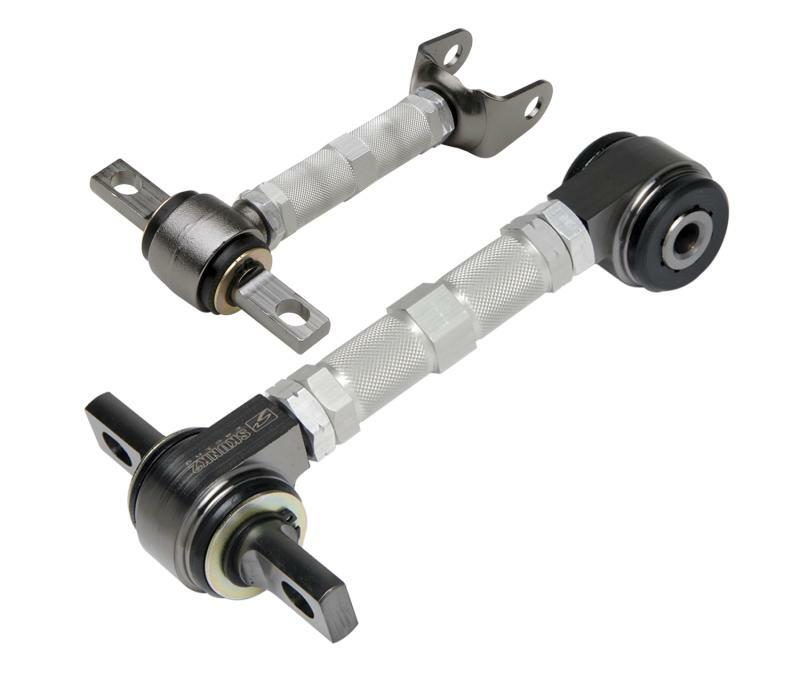 The bushings act as a bearing allowing your camber kit to pivot smoothly without the harsh side effects of using actual spherical bearings. 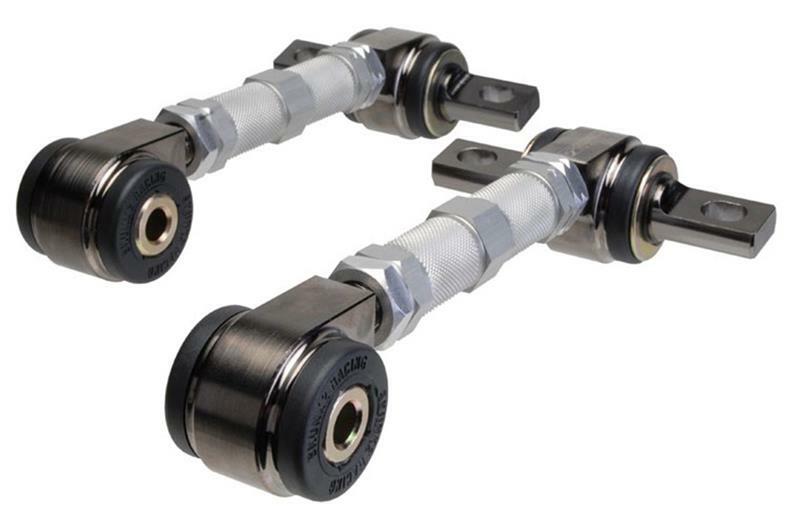 Unlike the steel and rubber bushings that are found on low quality rear camber kits, these will not tear or break free. The Skunk2 Rear Camber Kit is the perfect choice for street and race applications, and works even better when used in conjunction with Skunk2 Rear Lower Arms, Arm Bars, Strut Bars, and Front Camber Kits.